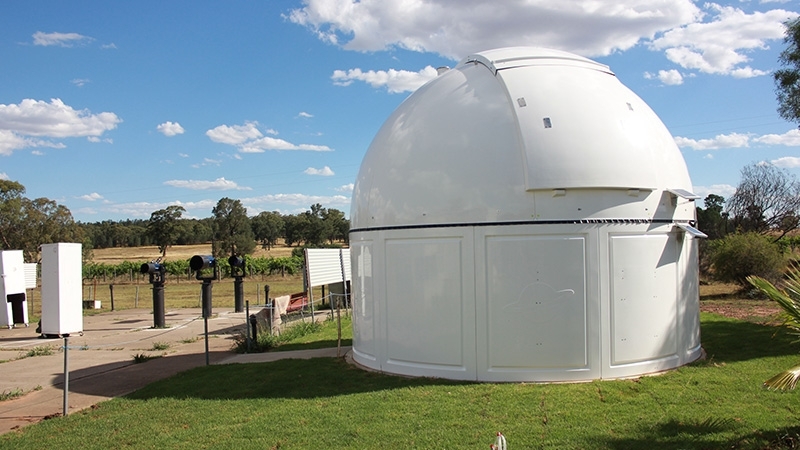 Your tour guide Peter Starr has a Masters Degree in astronomy and was a Manager at the famous Siding Spring Observatory, Australias largest optical telescope facility. Powerpoint presentation in our theatrette. Talk about what we will see and some basic astronomy. 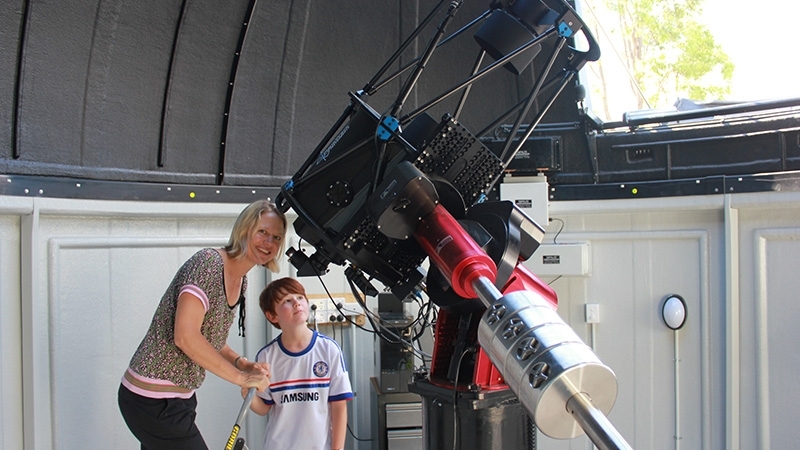 View the planets, stars, and galaxies through our new 17" telescope in our new observatory. Up to 7 telescopes depending on number of people attending. View at least a dozen different objects through the telescopes. Explain in detail about what you are looking at. Answer your questions on the night sky and universe. Astrophotography with your canon, nikon, pentax SLR Camera. We take 1 photo of a colourful nebula at the end of the show for no extra charge. The show is limited to 50 people maximum though this is rarely achieved outside NSW school holidays and long weekends. If it is overcast at the start time of the session, we do an extended presentation and if the sky clears in parts we will show you what objects we can through the telescopes. If you do not wish to partake in this please cancel 24 hours prior to get a full refund. You can get a good idea of the weather forecast by going to the following webpage. This gives a 3 hourly forecast for the next 48 hour period. Look at the % cloud column.